WHAT IS A 3 YEAR OLD KINDER PROGRAM? 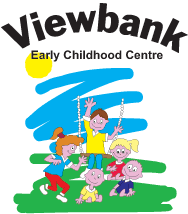 Three year old kinder programs are not subsidised by the Government, however Viewbank Early Childhood Centre runs our own three-year old program as an extension of our education and care services. The program is run by a qualified educator, in conjunction with our qualified pre-school Educational Leader. While the 3 and 4 year old kinder programs run independently, the 2 lead educators work together as our 'pre-school team', to align the goals of the programs, and to assist the 3 year olds with transition into 4 year old kinder the following year. The 3 year old program is an extension of your 3 year old child's long day education and care program. It provides your child with the benefits of everyday routines (ie; lunch, mealtimes, sleep if required etc), but also incorporates an age appropriate, play orientated program which will help your child to develop all the necessary skills required for their big and exciting pre-school year. Children enrolled in the 3 year old program also continue to spend some time back in their Family Grouping Room as a continuation of their early years and an opportunity to spend time in, and benefit from, different environments and social settings. While the Family Grouping environment provides many positive play, social and learning opportunities, the 3 year old kinder is a great extension of this, enhancing your child's language skills, confidence and independence, physical and creative skills, and providing the opportunity to work co-operatively with their peers.